Know what? I'm not sure why it took me so long to get this set & review it. I think part of me worried that it would be rather expensive due to its age & size (it's not), and another part worried that it'd be as ugly and/or poorly produced (fitment & part quality) as the smaller 'hogs of the earlier days (it's neither of those either). Video: Big Mega Bloks Halo 10th Anniv. 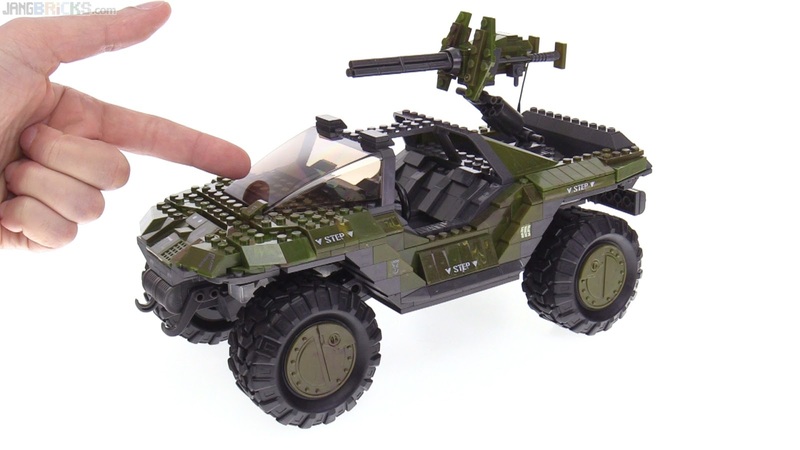 UNSC Warthog from 2011!